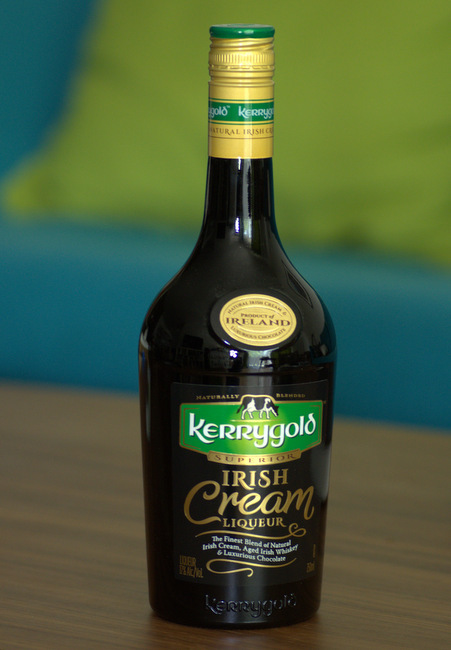 There are several flavors that I closely associate with my celebrations of St Patrick’s Day and one of them is Irish cream liqueur. Bailey’s, Kerrygold and other brands are indulgent cream-based liqueurs that are tinged with Irish whiskey, vanilla, chocolate and other flavors – and the holiday is a welcome excuse to treat myself (and friends and family) to a taste. 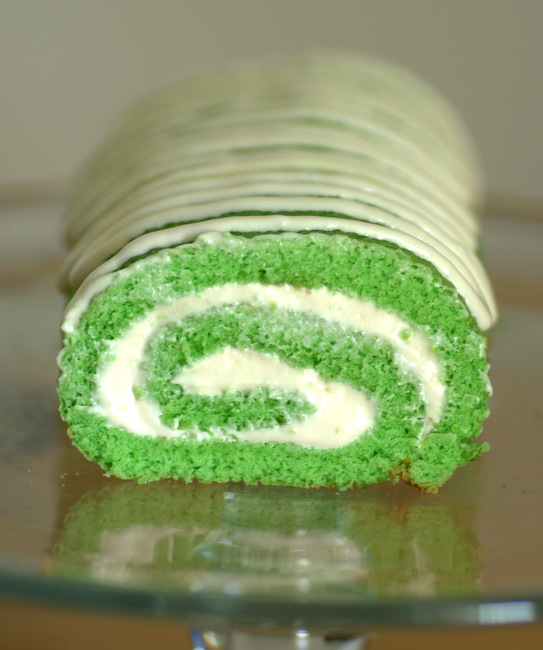 This St Patrick’s Day Cake Roll is a festively dyed green sponge cake is flavored with a touch of Irish cream and is rolled around an Irish cream-spiked buttercream filling. It’s an eye-catching cake that tastes even better than it looks. The sponge cake is made by creating a batter with flour, sugar, egg yolks and green food coloring, then folding in beaten egg whites. The batter is then spread into a very thin layer on a jelly roll pan. The cake bakes very quickly at a high temperature, then is popped out of the pan and rolled up while it is still warm. The cake is cooled while it is still rolled up and the result is a sponge that can be unrolled to fill it with buttercream, then easily rolled back up. The cake can be rolled after it has cooled, but I find that the cake is most plyable when it is warm and will roll easily into a spiral without cracking. The edges of the cake might be lightly browned, or they simply might be a bit firmer than the center of the cake. As you are filling the cake, these edges can be trimmed off, if necessary. Once cooled, the cake is filled with an Irish cream-flavored buttercream. 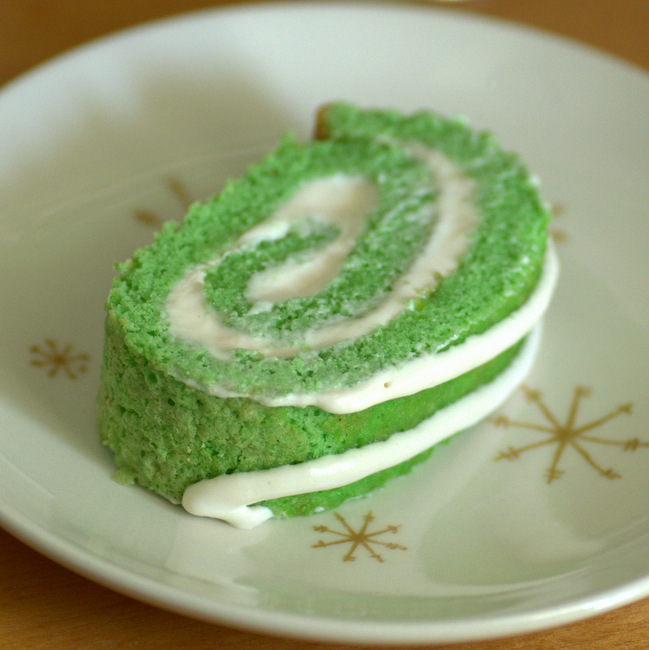 The Irish gives the easy frosting a unique flavor and makes it a bit more festive. I reserved a little bit of the frosting to decorate the top of the cake, but feel free to finish it off in any way that inspires you. A dusting of confectioners’ sugar will provide a nice finish, as well. Line a 15 by 10 by 1-inch jelly roll pan with parchment paper and lightly grease the bottom and sides. Combine the cake flour, baking powder and salt in a small bowl and whisk to combine. In a large bowl, beat the egg yolks with an electric mixer until light, about 2 minutes, then gradually blend in the sugar. Beat in Irish cream, vanilla extract, vegetable oil and food coloring, blending until well incorporated. With the mixer on low speed, blend in the cake flour mixture. Place egg whites in a medium bowl. Quickly clean and dry the beaters, then beat the egg whitesÂ to stiff peaks. Gently stir 1/2 of the egg whites into the flour mixture, then fold in the rest of the whites until the batter is uniform. Pour into prepared pan and spread into the corners using a spatula. Bake at 400F for 8 to 10 minutes, or until the cake is golden and springs back when lightly touched. While the cake is baking, dust a large dish towel with powdered sugar. 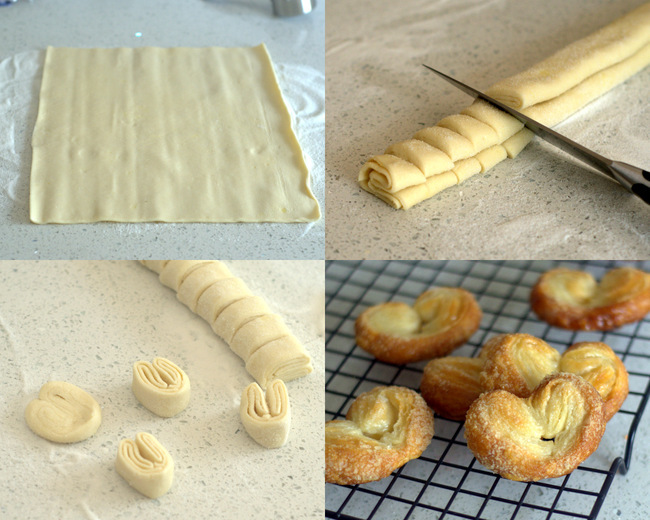 Beginning with the short side, roll cake and towel up together. Place towel-wrapped cake on a wire rack and let cool completely. the top of the cake. Carefully re-roll the cake and place seam side-down on a serving plate. In a large bowl, beat together butter, vanilla extract, Irish cream and 1 cup of confectioners’ sugar. Gradually blend in remaining confectioners’ sugar until frosting is thick and smooth. Can you make this printable so we don’t have to print out everything? Thanks! Hi Kristen, I’m working on that now. If you just highlight the text of the recipe, you should be able to print the selection from your computer without printing the images or the rest of the post. Thanks for your patience!